Chris joined our team in 2015 after relocating to Denver from New Haven, Connecticut. He is one of our lead accountants handling tax preparation, consulting, and accounting services. Chris received his B.B.A. in Accounting from Bryant University in Smithfield, Rhode Island. 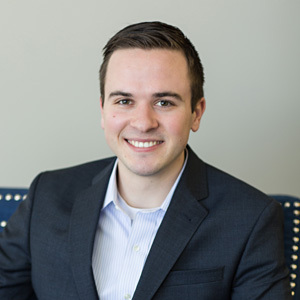 Upon graduation, Chris spent three years working as an accountant in corporate finance at a large hospital and health network in Connecticut. Chris gained diverse experience in both accounting and finance functions in this position. In 2015, Chris wanted the opportunity to apply his experience to small businesses and set his sights west to the Rocky Mountains. Chris received his Enrolled Agent certification in 2018. In Denver, Chris enjoys taking advantage of the beautiful outdoors, from snowboarding to cross-country skiing in the winter to hiking and camping in the summer. He loves sports and plays soccer and golf as often as he can.